Rigging And Millwrighting Contractor - Grantville, PA - C & D Rigging, Inc. Welcome to C&D Rigging Inc., the leader in millwrighting and mechanical erection of machinery and heavy equipment. You can count on our millwrighting company to have your job completed to specifications, on budget and on time! 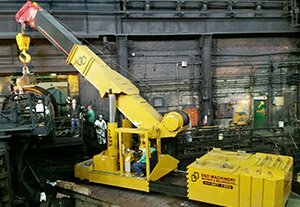 C&D Rigging Inc. is a renowned millwrighting company offering custom millwrighting and mechanical erection of machinery and heavy equipment with over 150 years of collective experience. We serve a variety of industrial manufacturers such as food processing, steel fabrication, quarries, electrical generation and manufacturing. Founded in April of 2013, C & D Rigging, Inc. serves some of the most iconic companies in the Central PA area as a full-service rigging and millwrighting company. We provide everything from new construction and scheduled maintenance to emergency services. Our team delivers quick response times and excellent customer service, and we are adept at handling both short and long-term jobs. Our creative solutions and support provide long lasting dependability for every customer. We offer complete care through the entire rigging design and planning process, and consultation services are available for steel erections. This includes all jobs in need of certified welding, equipment platforms, industrial plant towers, certified rigging, handrails, and stairways. If you need help with your equipment, our millwrights assist with both laser and optical alignment. Additionally, they perform installation, relocation, maintenance, and repair of your machinery and equipment. The reason for our success lies with our people. Our team seamlessly blends with other contractors to create excellence in craftsmanship. We know that quality and integrity are tantamount to success, and these aspects are the hallmarks of our business. Our projects prove our dedication. To ensure the ultimate safety of our employees, contractors, managers, and owners, we have established the C & D Rigging Safety Committee to measure overall company involvement in achieving a safe working environment. Workplace inspections are performed quarterly at minimum, and large recommendations are made annually to improve work conditions and work site management for both employees and clients. Contact C & D Rigging, Inc. today to learn more about our work record and proven creativity within the marketplace. 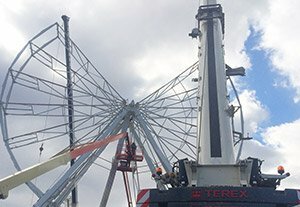 Based in Grantville, PA, we are a full service rigging and millwrighting contractor providing scheduled maintenance, emergency services and new construction. From small jobs and emergencies to large long term projects, C&D Rigging Inc. is equipped to take on any size project. Take a look at the personnel leading us from the front in all our operations - our project managers and field supervisors. 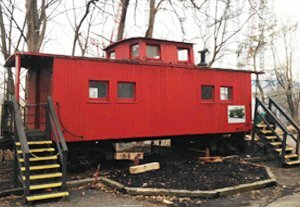 Explore our projects which include moving the Hersheypark Caboose from its old location to its new destination. © 2019, C&D Rigging Inc. All Rights Reserved.